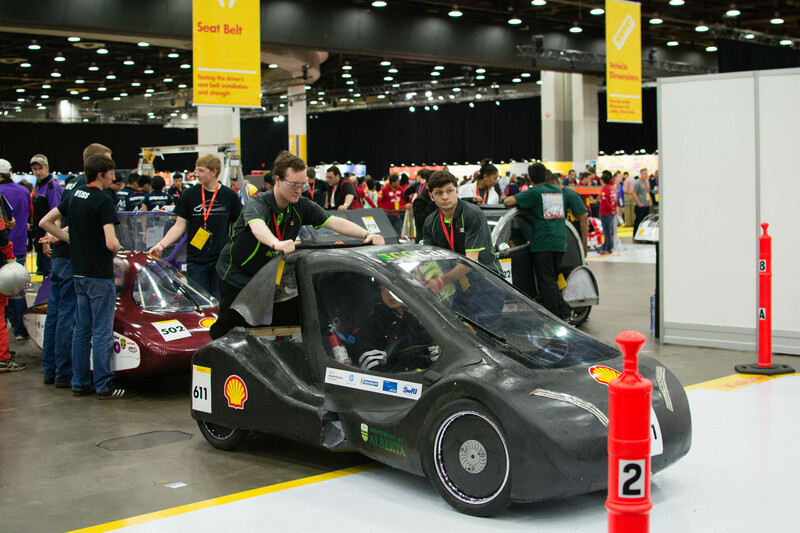 Day 2 of the Shell Eco-marathon Americas began for the Electrical team early this morning debugging in preparation for the mandatory Technical Inspection. 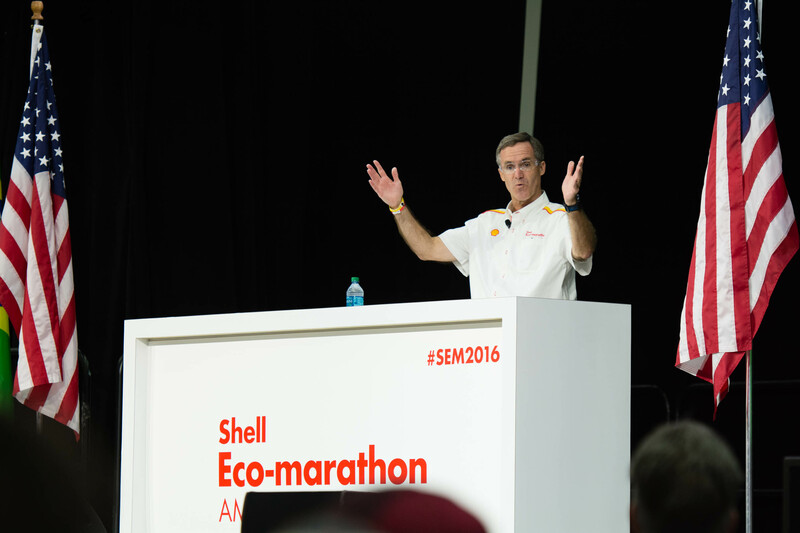 At 8:30AM, the Shell Eco-marathon Americas officially began with the opening ceremonies followed by the annual photo of all SEMA teams and vehicles. 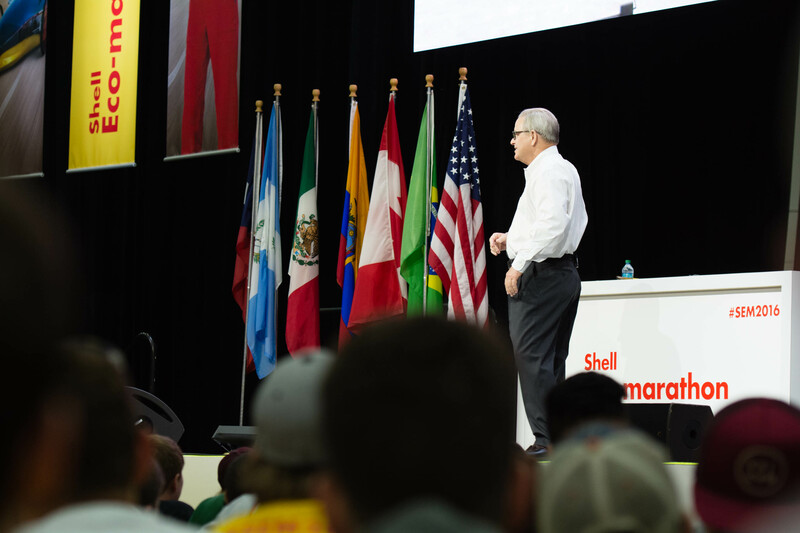 The Chairman of Shell was present and welcomed all of us to Detroit. 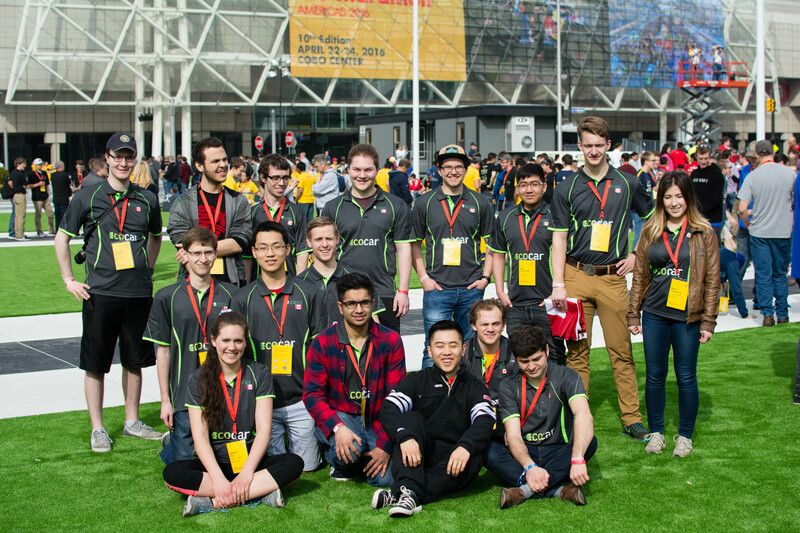 In the spirit of innovation and to capture all 200 or so vehicle teams in the photo, Shell used a drone to fly overhead and capture all of the teams with their cars! 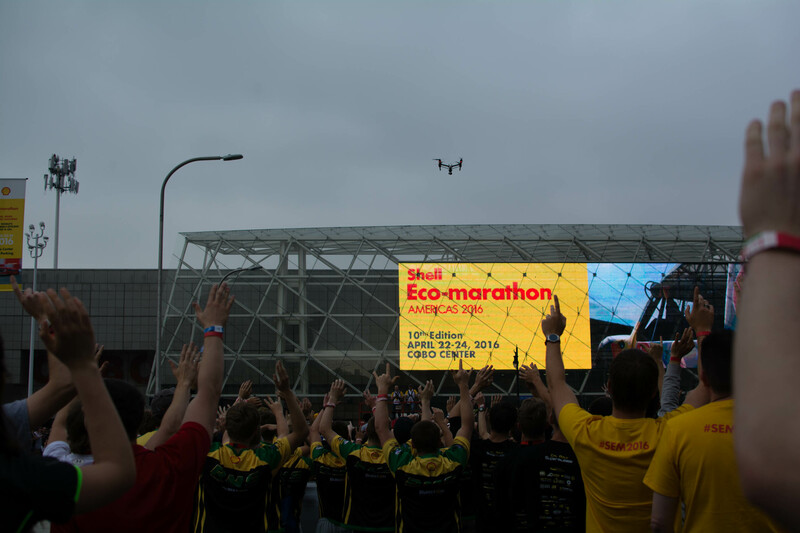 To capture all 200 or so teams and cars in the photo, Shell used a drone that flew overhead. Say cheese…? 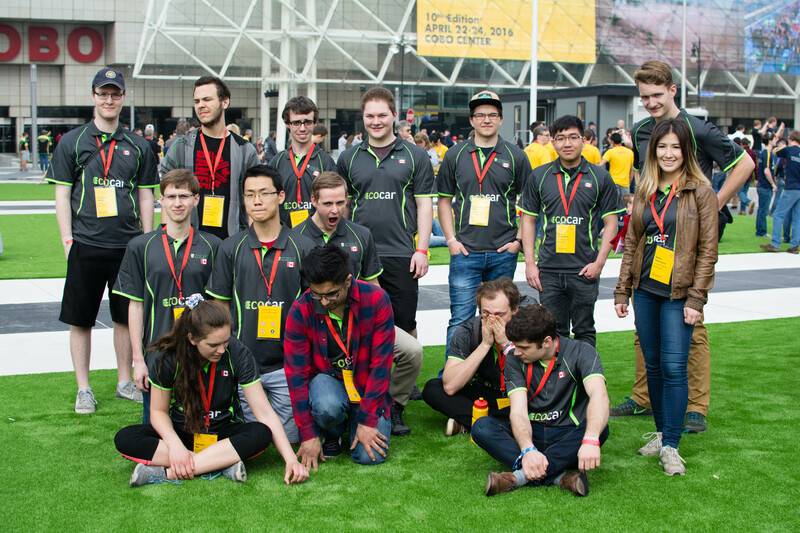 In the excitement and tiredness, we struggled a bit to get a nice team shot with the Cobo Centre in the background. 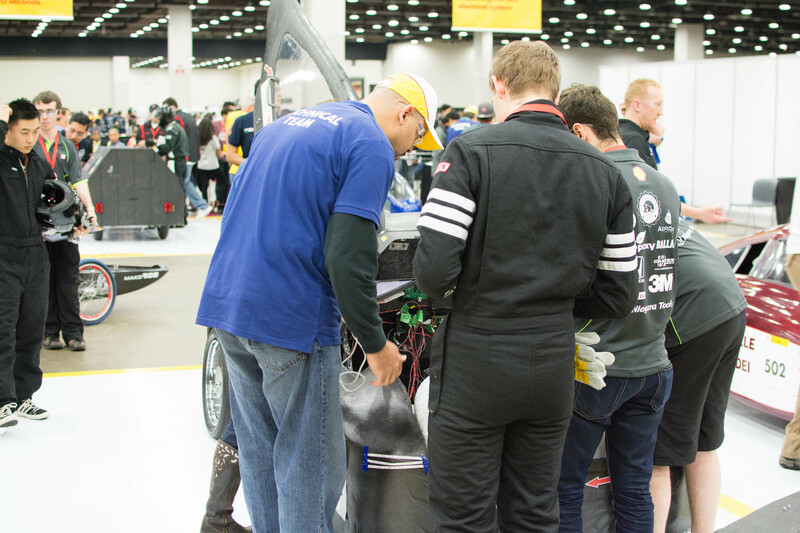 And now, tech inspection! 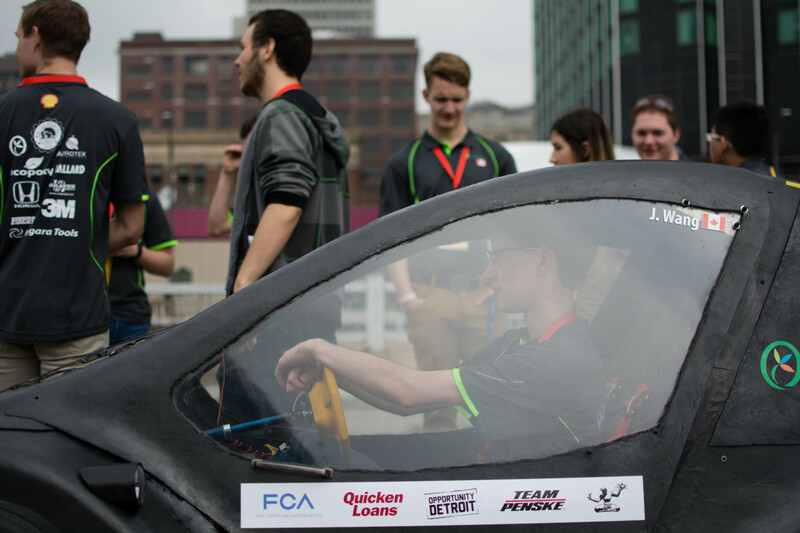 As soon as we could, the team wheeled Alice back to the Cobo Centre with Nathan at the wheel. 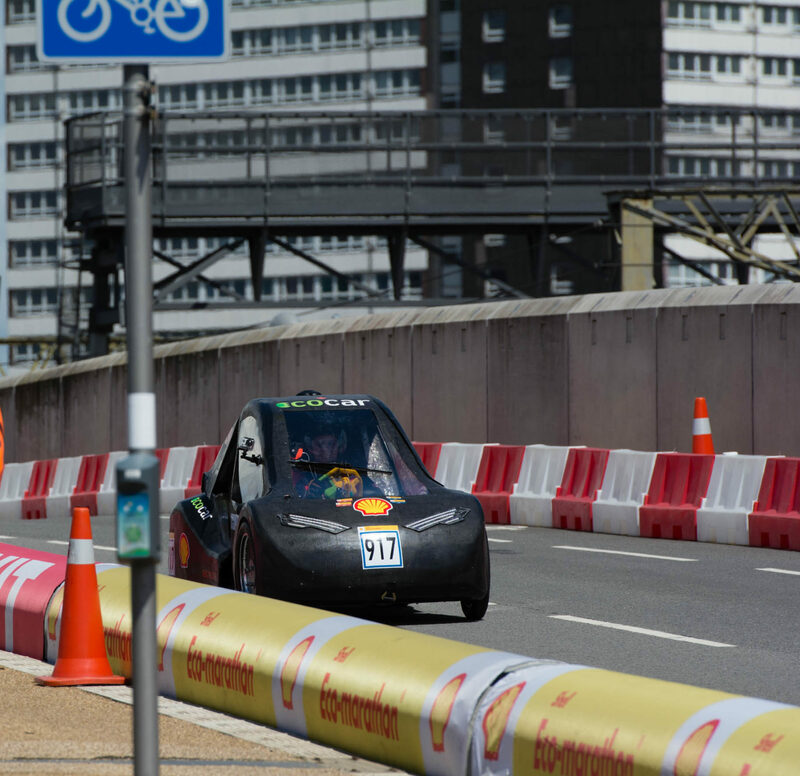 In a marathon 3 hours, we finished the first round of technical inspection, and have passed the majority of the tests. (We passed the Hydrogen leak test FIRST TRY!) 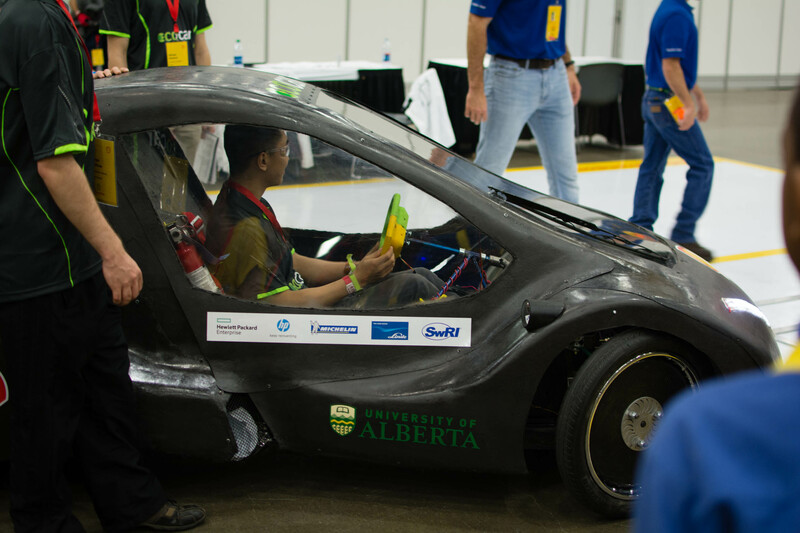 We made a few changes like adjusting the seatbelt straps and adjusting the suspension so that the wheels are closer to the chassis. To make sure we’re confident with our system, we added an additional strap to our hydrogen tank to tighten it in. 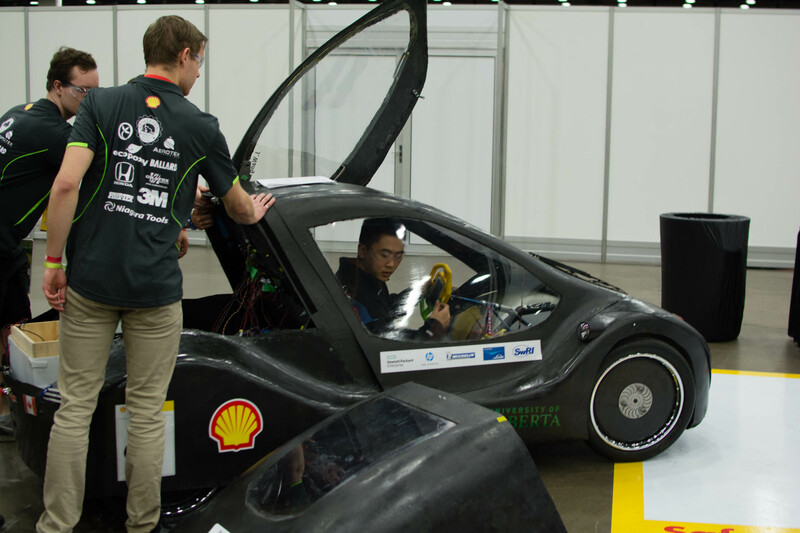 As of 15:45 EST we are hoping to go through technical inspection within the next two hours to pass the remainder of the tests. And tomorrow… WE RACE!